Good Morning! Light breakfast with coffee to fuel your entrepreneurial spirit. John Geoghagan, the Managing Partner at Next Level Foods, will discuss how to take your products from your home kitchen, to a commissary, to large scale manufacturing. He will detail how to overcome the struggles of trying to get into big box stores and outline the many mistakes businesses make in the process so you can avoid them! Engage with some of the top hiring managers in Tampa Bay to hear about what has worked and what hasn’t worked as they've scaled their hiring process. Learn from their mistakes and take heed in their successes. Sure to be a learning experience! Change up your work space this week and work from Chase Basecamp at Startup Week. We'll have coffee all day and food trucks at lunch. Pop in and out of sessions and still get some work done. It's a great spot meet other like-minded individuals too. With many different POS and data processing sytems in place now in the hosptality field, learning how to use that information effectively to impact change on your business can be overwhelming. This panel is full of both IT and Hospitality experts who will be discussing their challenges and, more importantly, the solutions they have found. So, you have a product or service but you have no experience being a business owner! Don't worry, I didn't either. I will telling you my story of how I scaled my company, Teami Blends, from being a concept in my mind to a Multi-Million dollar business! I can't wait to meet all of you...and answer all of your questions! When you’re doing what you love, it’s so easy to give it your all. However, if you want to maintain your health and personal relationships, it’s important to carve time out for them in order to maintain a full, rich life. This discussion will be devoted to important guidelines we should all follow. This information packed workshop will review financing options available to business owners and provide valuable insights into the process for obtaining credit. The session will provide an overview of different credit options including SBA loans and what lenders review when evaluating an application for credit. The workshop will be led by a local SBA expert. Learn and discover what credit products may be the most appropriate for your business! A panel of seasoned angel investors will share Insights into financing entrepreneurship and gaining returns. Learn the pitfalls and benefits of giving capital to business startups, including how to earn convertible debt and ownership equity. Tim Horton, of VectorVC.com, is an experienced "Entrepreneurial Pirate", start-up investor and online privacy SME. As a serial investor, he will explain why trying to find investors/ funding is different in F&B, than a dot-com or tech start-up. The Center for Analytics & Creativity at the USF Muma College of Business led a new initiative in 2017 that uses dynamic visualizations, big data analytics, and economic models to investigate the economic prosperity of the Tampa Bay region. The project examined ten years of data for over forty traditional economic variables to identify the key leading factors that have a significant impact on economic growth of the Tampa Bay region. Also, for the first time ever in regional economic forecasts, the team collected and analyzed several Real-time Big Data (RBD) variables such as Google searches, Twitter sentiment, airport traffic data, real-time housing data from Zillow and the market capitalization of firms to develop insights that can provide valuable real-time signals for business and community leaders. This session will present findings and implications for startups. Hungry? We're offering lunch on us for the first 150 Startup Week attendees. We're back at it again! We will be interviewing entrepreneurs, attendees, sponsors, companies, startups as well as previewing and reviewing some of the 90+ events on offer during Startup Week. Be part of the live audience at Cavu in Tampa (M/T/W) and Station House (T/F) in St.Pete daily from 12-1pm or watch the Show on Facebook Live. Showcase your brand, product or service to an engaged audience of investors, influencers and consumers. Supercharge your exposure as an official Show sponsor or be a live guest (limited spots available). Watch the inaugural 2017 Power Lunch Show! Event Director for the Downtown Crawlers, hospitality expert and past On-Air Radio Talent. Liz is a content creating machine. She specializes in giving a brand its voice + has been producing content across all verticals -- Editorial, Digital Marketing, Social Media, Email Marketing Web Site, Copywriting -- for more than 10 years. Founders who have grown businesses from concept to an acquisition or sale will share their entrepreneurial experiences, including how they developed product viability, created value, and attracted buyers. The Legal Bootcamp for Entrepreneurs is designed for those in the process of – or considering – starting a new venture. Join us for practical information on the legal and business issues facing today’s entrepreneurs. Intellectual property, the licensing process, and how to align your IP portfolio and business goals. Discuss Employment Law including the legal distinctions between worker classifications such as consultants, independent contractors, and employees, along with the benefits and shortcomings of each labor model. Learn about fundraising, from valuations and investor expectations to negotiations and how term sheets work. Discuss when and how to work with attorneys, accountants and other professionals - what to look for, and what to expect in terms of common transactions, fees and more. Finish with a Q&A - bring us your legal questions! How is Tampa Bay adressing the tech talent gap in Tampa Bay and the need for this workforce? Hear from founders about why this type of disruptive educational model works and the need for these workforce initiative programs in our ecosystem. What's in it for your community and why have these founders chosen specific cities to launch this education? Many entrepreneurs start off with a good idea, but how to bring those ideas to fruition with the proper tools sometimes comes at a price. Getting the proper communications to their potential and existing customers, reviewing their offerings for product market fit, selecting the right tools and more will be shared during this fireside chat. Will you avoid errors? Probably not. Hopefully, you will learn which ones not to make. Discover the steps and strategies necessary to raise venture capital for your startup. Venture capitalists from across the country will share what they look for when evaluating a business for funding, and startup founders will offer insights about what it is really like to go through a successful funding round. Marc is a seasoned entrepreneur, and a partner with Florida Funders, a Florida focused venture capital firm that blends the best of traditional, committed fund venture capital with a "curated" crowd of accredited investors. Do you have a product or service and don't know how to get started? Instgram is a great platform to get awareness, exposure and excitement for your brand! I will be breaking down the do's and dont's of using Instagram to start your own brand. Instagram is THE platform I used to launch my brand, Teami Blends, and it has allowed me to scale it to a Multi-Million dollar company. I can't wait to meet all of you! Come and gain insight into the do’s and do not's of pitching to the media. Our panelists will give you tips on how to gain their attention, how to ensure once you have it your story is well crafted and how to communicate with them. If you want to increase your knowledge in how to effectively work with your local journalists, you do not want to miss this event. Once they have shared their tips, we will select entrepreneurs who have registered to pitch to the media panel. Here is your chance to have your startup featured by the media outlets in attendance. If selected, you will have 60 seconds to pitch your business. The outlets will follow up with questions. They will let you know then if they have interest in more information. PROforma presents the Startup Showcase that will take place on Day 1 (Feb 12th) of Startup Week at Cavu from 5pm - 6:30pm. Click below to expo your startup at the showcase. Click HERE to submit your startup at the showcase. PROforma presents the Offical Kickoff Party at Cavu! Join the party and be welcomed to to Startup Week from from the definition of an entrepreneuer, Greg Muzzillo. Greg founded PROforma in 1978, one year after graduating from college. He started the company’s franchising operations in 1986. Today Proforma has over 700 Franchise Offices worldwide with over $500 million dollars in sales. The company has been named to the Inc. Magazine 500 listing of the Fastest Growing Companies three times. Help us kick off Startup Week in a big way! This exciting keynote event will kick off with a "full stack" pancake breakfast at 8:30 a.m. This will fuel a vibrant discussion amongst an all-star panel. Serial entrepreneurs will share how they developed and grew their companies, as well as give insights about succeeding as leaders in their industries. The panelists have collectively raised capital and contributed to earned revenue that exceeds $500 million. The breakfast is sponsored by Full Stack Talent and the panel is sponsored by Startup Sisters. Culture is important in every industry but the intimacy of hospitality magnifies that. This presentation will outline how to translate the image your business is trying to project to the world to the employees who need to execute it on a daily basis. Hiring is crutial, training is vital, but maintaining an internal brand every day is what will make your business excell - learn how here. Not all small business owners possess an entrepreneurial spirit, such as the ability to see opportunities in challenges, overcoming self-doubt in the face of rejection or leveraging resources to their greatest potential. This workshop includes hands-on activities, video and discussion to help empower entrepreneurs with attitudes, behaviors and skills that encourage entrepreneurial behavior. You will leave this workshop with a renewed sense of purpose and motivation, and your entrepreneurial spirit will shine! MP Studios Tampa and Chase Bank will be hosting professional headshot events again this year! This event is open to the public and you can confirm your spot here. A normal session would be valued at $200 and this is a great way (and FREE!) to update your professional headshot. You can finally replace that selfie or outdated photo and more professionally market yourself! This session is meant to provide entrepreneurs with a introduction to what Cybersecurity is, what every entrepreneur should know minimally, and how to protect yourself. The first step is to explain what risk is – and what the management of risk entails. Next, we explain what a digital asset is, and why it is the basis of Cybersecurity and Risk Management. We understand how modern Startups work, that spending money on Cybersecurity is not a priority, cost is a factor. So – how can you protect yourself just by changing your habits. With two people who have found over a million dollars in funding for projects and another who is a serial investor who hates F&B propositions, this panel aims to highlight the many facets of why finding funding in this industry is different. The goal is to change your approach as a small F&B business owner looking for funding. Tim Horton, Vector (Pirate Venture Capitalist); Rob Pololny, Eat Fresco (Owner); and Prem Thomas, Serial Entrepreneur each offer a unique perspective and we're excited to see what they have to say! Minnotank is a great place for early stage tech startup founders to meet prospective investors and more. Pitch on MinnoTank if you are looking to meet investors from across the USA, without leaving your office. Watch Live as a Tampa startup get to pitch to VC’s, Angel Investors and Institutional early stage capital on our calls face to face. We know small business owners and entrepreneurs of color encounter barriers to entry into the startup world. This panel highlights the work local organizations are doing to help startups gain access to capital, shed light on some of the challenges startups face when seeking loans and capital, and provide recommendations on how to overcome these barriers. Startups have a completely different set of requirements than the Corporate juggernauts they aspire to become. Speed to market, no up-front capital investment and pay-for-use are things you’re already aware of as you’ve seen the AWS videos. But what’s missing from that sentence? Cost, Security and Effectiveness. These will be driven by the choices YOU make in deployment. By the end of this session, you will have an awareness of how to effectively approach an AWS Cloud engagement. Oh, and you’ll sleep better! You know you need to develop a public relations strategy, but you're just not sure how to put it together or what it should entail. Join the members of the local chapter of the Florida Public Relations Association as they share details of successful campaigns they spearheaded. Sign up for this session and walk away knowing how to better reach the masses. Hear the lessons learned from growing an online course from a mom and pop to a nationally recognized brand and #230 on the Inc. 500 list. Hear from four Tampa Bay developers who are also entrepreneurs working in Florida startups. Each of them chose to invest in themselves (and their companies) and learn to code but aren't full-time developers. So why did they choose to learn to code for the startup world? - Did you consider outsourcing your tech needs? - What were some of the challenges before, during and after learning to code? - How how has code education helped your startup? - Why did you choose to attend an in-person code school? Panel members each attended code schools to learn web development. The session will be moderated by Gavin Stark, CTO of Suncoast Developers Guild, a local tech ed startup. Adam Jahr serves as Senior Producer at Code Pop, managing the production of digital learning content for software developers. He previously managed operations and student success at The Iron Yard Orlando, and served as their associate instructor. This session links current cybersecurity trends and exploits with today’s social media climate and the role that people rather technology play. Attendees will learn methods used by hackers, their motives, how to detect them, and countermeasures. Laura Egocheaga Founder & CEO of Divibe Tech [Tampa's #1 Growth Hacking Marketing Firm] will do a deep dive into how they’re using Facebook Ads to get their clients customers on demand. She will be doing a Q&A to answer your specific questions on how to grow your business through digital marketing. All attendees will receive her latest book "The Small Bussiness Guide To Social Media Marketing"
Entrepreneurship is likely to be the most difficult path you ever embark on. It is the road less travelled and has been described as "jumping of a cliff while building a parachute on the way down". Why do we do it? Why do thousands of individuals who know the danger take a step down this unworn path? The StartupBus Round Table talks to the individuals who participate in an annual global event that provides hundreds of individuals the opportunity to explore the world of entrepreneurship, hear from them on their self-discovery journey, the people they have met, and their experiences as entrepreneurs. Helping people automate paperwork and communications with others at crowdsync.io. Making a dent. Hackathons, Gaming, and Healthcare, oh my! For Health Innovators’ “Hacking Healthcare” we are taking an in-depth look at how video game and simulation technology are impacting healthcare and the exciting entrepreneurial opportunities ahead. 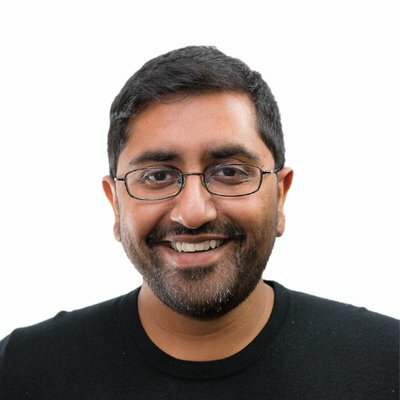 Kunal is a Central Florida tech leader, community builder, and entrepreneur with >15 years of experience in roles spanning leadership, software development, sales and creative partnerships. He serves as co-founder of brandVR, a Virtual and Augmented Reality platform for driving sales, marketing, education business goals with an immersive wow factor. In 2016, brandVR developed three VR experiences for NASA Kennedy Space Center Visitor Complex. He is also the co-founder of Indienomicon, the largest community organization for game development studios in the SouthEast, and helped to grow local community talent from six studios in 2013 to 40+ by 2017 sparking economic development and structure around talent. In 2015, he co-founded Indie Galactic Space Jam, a successful annual collaborative event between the Orlando gaming industry and the space industry to rapidly prototype games that drive excitement for space travel and exploration. 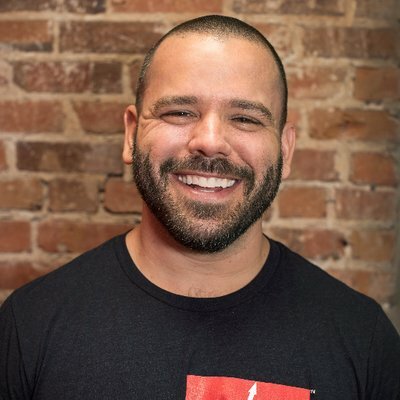 Additionally, in 2015, he founded the Orlando Game Space, a collaborative game co-working facility to provide resources to indie game developers and robust professional services in games, digital media, VR and AR development to the marketplace. Kunal will also be talking about putting Florida on the map for its first medical gaming event where non-profits pitch care challenges to get a solution prototyped in just 48 hours! He's an incredible speaker with a message you should not miss! The In's and out's of hiring and nurturing your agile environment. Learn all of the red and green flags to look out for regarding any and all agile positions you're looking for. Leon will share effective techniques to interview and hire in an Agile way. We're excited to have Gary be a part of this year's Startup Week. Gary will be speaking at the newly renovated Tampa Theatre. He will speak for about 30 minutes and then have time for Q&A. We have limited availability for this event. RSVP does not guarantee your seat, be sure to arrive early to get in. Seating will be first come first served. Doors open at 4:00pm. Expect parking parking to be scarce and plan time accordingly. We suggest arriving around 4:30pm. **We WILL have to turn people away from this event but the watch party and after party is just a block away at Franklin Manor. The hype is real in Tampa Bay for Gary Vaynerchuk! The keynote event at Tampa Theatre is at full attendance and there will not be enough space for everyone. We've made it fair and seating is first come first serve, and people are camping out front of Tampa Theatre right now (literally). So we've partnered with Franklin Manor and Budweiser to bring you the exclusive watch party and post event networking! $3 Budweiser for all lanyard wearing guests! Be sure to stop by Basecamp to pick up your lanyard if you haven't already. Learn to take care of yourself so you can take care of your business! This session will begin with a guided meditation, and then review practical tips that will help you build the self-care foundation for personal and professional success. DOZENS OF MENTORS, COACHING THE SKILLS YOU NEED TO SUCCESSFULLY LAUNCH A STARTUP! Launching a startup is hard but we’ve brought together the region’s best advisors on technology businesses to help you. Startup Surge is designed for tech-minded people who want a guided path to a successful technology company. We’ll give you the confidence in knowing whether your technology idea is worth pursuing by giving you the right questions to ask, the technology leaders to connect with, and the critical next steps to take before launching. Chandra is a senior in the Tax & Accounting Services Department of Saltmarsh, Cleaveland & Gund. Prior to joining Saltmarsh in July 2016, she had worked for an aviation consulting firm with specialized taxation experience serving the aircraft industry. Colonel Jeff Goble, US Army, Ret. The objective of this panel is to bring together cyber security experts from Private, Public, and Defense sectors to discuss the challenges facing the Cyber Security space. In order to inform startup entrepreneurs about the real problems that their products and services should focus on solving. The moderator will lead these experts through a tour of the challenges in their sector and the market at large, and the potential solutions to these challenges for their industry sector and possibly other sectors as well. In the news you'll hear how the fashion industry is ever-changing and how the retail industry is struggling, but we've got a group of local fashion entrepreneurs who have found ways to make the most of their passions and career paths. Meet these individuals who have found success breaking into the fashion industry and staying in the industry. This talk is all about how to establish your recruiting processes the right way from the very beginning. There are an amazing amount of free tools and resources out there to help you identify, qualify and eventually hire your first employees. This chat is a walkthrough on every single source to find the perfect fit for your company, without spending a dime. Now Hiring! If you are looking for a job in the hospitality industry or are current seeking qualified canidates - this is the place to co-mingle and find the company with the best fit! With 10 years in pro sports entertainment, Hope Donnelly took a risk each time she set foot in an audition or in an arena to perform. Isn't that a lot like starting a business? Stepping out into an arena, exposed and vulnerable to failure. But as entreprenuers, that is exactly what we do, set to repeat. This is not a new story, of risk, failure, and shifting your business model, but it is the story of the revival of the Rialto Theatre, and her other business that took a back seat until recently, 8-Count Productions. Hope believes in taking risks, "daring greatly", and takes an honest approach to sharing these experiences. Mompreneur, small business owner, artist. Improving the world one day at a time. In this session, you'll learn what it takes to bring your fashion line concept to production. From understanding samples to and taking your line to production/manufacturing. There is a lot of confusion about how to protect your intellectual property. Do you need a trademark, a copyright, a patent, or all three? How do you get this protection? And what are trade secrets? As for the business law section, Mia Mota, Esq. will discuss formation issues, founders’ agreements (including shareholder agreements, and LLC Operating Agreements), issuing founder equity, legal requirements for raising investor capital and much more. After this session, you will have answers to many of your questions pertaining to Corporate and IP protection. Please join this exciting session and "Look from the Trenches" on Startups, Funding, Entrepreneurship and the latest in High Tech, from AI & Blockchain (think Bitcoin) to the wild and woolly world of IoT (Internet of Things) from Smart Homes to Smart Cars, (EVs, UVs, UAVs (Drones), Makerspaces and the Factory of the Future. Enjoy the best of tech, learn about cutting-edge innovations and see first-hand how our local startups can transform Tampa Bay, build the new High Tech Ecosystem & help us compete with Silicon Valley from the land of the Pirates! Note: We want to wish everyone a Happy Valentines Day and thanks especially to Gracie Stemmer from The Wave, Allison Barkley, (@thatgirlallie). Vint Cerf, Fred Briggs, our distinguished panelists & our sponsor, SolarSource for their contributions. We love you, Tampa Bay! As the entrepreneurial force and visionary behind two brands: Black & Denim Apparel Company & The Blind Tiger Cafe, Roberto has learned how to navigate the world of fashion in a way that works and profits! Roberto wanted to find a unique way to showcase his fashion brand and launched Blind Tiger Cafe. Not only did transitioning allow him a way to bring visibility to his brand, it also launched another successful venture. Roberto will share his journey with us and how you, too, can switch gears and transition for entpreneurial success in the fashion industry! Among all startups is a common roadblock to growth; too much to do with too few resources. Automating common tasks and marketing efforts can spell the difference between success and defeat. Don’t get bogged down doing things that technology can. You don’t even need much to get started. Having recently quit corporate to pursue her passion, Caitlyn will share her take on making your side hustle a reality. Startup owners begin with a big vision, but translating that vision into a reality that others can run with, requires the transfer of learning. This session will empower startup owners with a foundation of how to train and get their employees to learn (whether remotely or in-person) resulting in continuous productivity and a solid team who has caught the vision. Fuel Up ~ Just Live! Learn how to fuel your entrepreneurial journey ~ what foods are best for your body and why, plus the essential vitamins needed to boost your brain power and live an optimal life! Marketing can be confusing, but when you understand the psychology behind it, it gets a lot easier. There are reasons we buy certain things, pay more for certain things, want discounts, etc. For instance, did you know a jewelry store once sold out of jewelry that wasn't selling by accidentally doubling prices? Why did this happen? This session will cover the basic psychology behind your customers and why various marketing tactics work. Understanding these core principals will improve your marketing and your ability to decide which marketing tactics you should be using in your business. JR will finish with Q&A so you can get some individual help with your marketing. This talk includes most of everything you need to know about hiring employees and independent contractors without government penalties! When can you classify an employee as an independent contractor? Am I required to provide benefits? Where do benefits come from? Discrimination awareness, payroll taxes and more in: HR 101! How your emotions play a key role in what you create in your life. Several easy tools and processes designed to keep you in the "Green Zone"
What happens when 1 million companies use business as a force for good? When social, conscious, and benefit are no longer required prefixes because it’s just what society expects. Economist and author Vinny Tafuro is focused on the macroeconomic impact of measuring social capital and providing metrics beyond GDP to guide social enterprise and similar movements like Conscious Capitalism and Certified B Corps toward a collaborative, sustainable, and prosperous future for all. This Valentine’s Day, make Instagram your bae. Hear from a panel of creative business owners in Tampa Bay on how they use Instagram to grow their brand, promote their business, & build their customer base. We’ll share our favorite app features, best tips & tricks, challenges we’ve overcome, & advice for business owners on how to master this platform. You’ll leave this event feeling Insta-empowered. Every attendee that signs up for our newsletter will be entered to win a gift card to Bake 'n Babes and a gift card to The Paper Seahorse. Also! The first 10 attendees will take home a tote bag with goodies from our panelists inside. Start the day off right! Get your mind and body in gear. Do some warm-up stretches then walk, talk and connect. It’s the smart new way to network and it’s the perfect chance to meet like-minded social entrepreneurs. Our walking tour will include the waterfront and several downtown resources perfect for startups. Nick talks about overcoming challenges, defying the odds, not listening to naysayers, changing the perspective on how you look at things in life. Media Appearances: Seen on - Fox, The Today Show, News 12 New Jersey, Channel 8 Tampa News. TMZ, Great Big Story, MTV, MSNBC, CBS, TLC. Dreaming of solving a social problem and making a profit? Come explore the possibilities to use your entrepreneurial skills and create a new organization or add to an existing one. Get ideas and insight on choosing the right model, tax status and structure. Hear from existing social enterprise leaders as they share their experiences. The most significant transformation in your life might be deciding to be the boss instead of reporting to one. Change is a catalyst for growth and transformation, but it can be a tremendous challenge. Now more than ever, Veterans and professionals are forging a new life and career paths only to discover unanticipated obstacles and unfamiliar emotions. Our panel of entrepreneurs will share ideas, best practices and take questions to provide guidance and support to help you successfully attain your entrepreneurial goals while navigating the transition labyrinth. Stop by the book store and pick up the book's recommended by all the Social Enterprise presenters. Owner of St Pete's new independent book store, Tombolo Books at 1114 Central Avenue. Immersed Games Founder & CEO Lindsey Tropf will present background on the research and theory behind game-based learning. She will particularly focus on how games for learning have moved far beyond “engagement” as a superficial goal and into deeper applications for learning, and the power of what this can accomplish with learners. In the second portion of the talk, Mia Mota (The Tech Law Firm) will moderate a panel of experts across virtual schooling, game-based learning, and VR/AR to further discuss how game-based learning can inspire a generation and explore their various approaches to the medium. Panelists include Alfred Espidol of Launchable, Hunter Kelly & Jose Contreras of Lucerna Studios a VR edtech company, Jeramy Gatza of Florida Virtual School, and Lindsey Tropf of Immersed Games. Learn how to launch successful e-commerce businesses using Lean Startup Methodology. Serial entrepreneur and founder of Startup Bros, Will Mitchell will share his entrepreneurship journey and how he helps thousands of entrepreneurs create e-commerce empires. Will Mitchell is a serial entrepreneur and founder of StartupBros. He helps entrepreneurs make more money and build better businesses. Many people think the stock market is risky or see it simply as gambling. Hear from a stock market expert as to why this ideology is completely false. Come find out how you can safely and profitably invest in the stock market while at the same time eliminate the risk and fear many people have relating to investing in the stock market. Idenfity signs that the stock market is at it's very top right before a crash begins... BEFORE the crash begins not after. See when a stock has hit rock bottom and is beginning to go back up. Tell the difference between a good stock and a bad stock in 5 mins or less without any financial background knowledge or experience. When software is the core of your new idea, it is important to build a system that can pivot and scale with your company. Serverless websites are a great way to help manage the challenges that come with growing a new software business. Join Senior Software Developer and Core Instructor, Mark Dewey, as we explore the benefits of building a product on serverless architecture. This case study is aimed toward tech-minded entrepreneurs that are looking to build a new web-based product. Stop in and share your story! We’ll be open for 2 hours, claim your 15 minutes to practice your pitch and try it out on video. Caribu is an award-winning education platform that helps parents, extended family, and mentors to read and draw with children when they’re not in the same location. We are "FaceTime meets Kindle", for kids. An in-app bookstore has hundreds of books in six languages, and educational workbooks from leading children’s publishers focused on ages 0-7. The result is an engaging experience in a carefully designed, curated, and secure platform where future growth markets will include language-learning and tutoring. Reading with toddlers for at least 20 minutes a day is crucial to building a strong literacy foundation. With Caribu, any trusted adult can ensure that children are receiving the daily dose of their literacy diet no matter how far apart they are. Caribu was named one of the 'Top Ten EdTech companies to watch' in Forbes and is free for currently serving military families. Use the promo code TECHSTARS to try Caribu for free for one month. Hospitality: Do You Have What it Takes? Get the attention your social enterprise deserves. Hear from a panel of three marketing experts on ways to promote your idea to build a strong business that generates profit and social good. Tips will include how to market locally and through social media. Are two startup behemoths Paul Graham (Y-Combinator founder) and Mark Zuckerberg at odds with their philosophies of “Do Things that Don’t Scale” and “Move fast on Scalable Infrastructure?” Speed-to-knowledge is the gold standard for any startup. As founders and early members, we ideate and iterate products to discover new value propositions; this is the mission of all startups. My experience as an intrapreneur and entrepreneur has proven that both are right, but how? Come learn the business strategy and some hands-on instruction to get you started building a digital business platform. You’ll discover how to use Google-Scale technology like Kubernetes to build a simple scalable platform which allows you to do things which don't scale. Confusing? Everyone in a tech company, from non-tech founders to engineers, will walk away with a cohesive approach for building a quick learning-in-market digital platform. In this lively session, author and marketing pro Alex Rodríguez goes over the 6 phases of a successful launch, a timeless framework based on our human psychology. You will learn a laser-focused approach to turn unaware members of your audience into passionate advocates, based on case studies that feature theme parks, video games… and who knows, maybe even lightsabers! Alex has been involved in the marketing and advertising business for 23 years, developing successful online campaigns for world-renowned brands in 4 different continents and 3 languages. He is the author of Digital BACON, Five Fresh Ideas, and Sell You Before You Sell. Lessons learned on boot-strapping a startup while working full time as a Software Engineer. During the session I will share my experiences with starting Script including lessons learned along the way and do my best to answer any questions you may have regarding the technical side of starting up. Calm your pre-pitch nerves by last-minute coaching and feedback. This is for participants in the Florida Startup Pitch Competition to National Investors. Gather with Social Entrepreneurs for a Happy Hour just a short walk from Station House. Learn from different types of real investors, Angel to VC, how each looks at the 90-second pitch, what they consider the anatomy of a great pitch...and then see great pitching in action! 10 great, early-stage Florida startups will pitch to our panel of investors about why their startup is awesome in 90 seconds or less. These startups will receive immediate feedback from the panel, and the audience will hear in real time why a successful pitch to one investor may be a failure for another. The audience will then be able to cast their vote for "crowd favorite." The investors will collectively vote on a winner and runner-up from the competition. Gary is a seasoned Tampa-based high technology entrepreneur and investor, and currently the Managing Partner of QS Investment Fund and CEO/Co-Founder of IntelliChief, a leading provider of B2B Paperless Processing Management (PPM) software solutions for Global 2000 companies. Kailah is the Managing Partner at Redwood Partners, where she covers Redwood's European, US and Asia Pacific regions, and a seasoned entrepreneur and angel investor. Conferences provide a great learning opportunity for adults, but what about future programmers? Suncoast Developer's Guild Jr. and Start Up Week are excited to present a fun night of coding for kids ages 8-12. In this one night class, the students will be learning the basics of programming through fun activities and MIT's Scratch software. Upon completion of the course, kids will be receiving a certificate of achievement! This is a FREE 1 night course on Thursday, February 15, 2017. Please sign up and tell us the name and age of your child(ren) attending. If you sign up and later find out your child cannot attend, please let us know immediately, so that your RSVP can be changed and opened up for other students. Please read the FAQs below as they may answer your questions. For additional questions, please contact our Volunteer Coordinator, Liz Tiller at suncoast.developers@gmail.com. 1. What ages are the classes open to? We welcome all ages 8-12 years old. Please remember, a parent or a guardian is required to remain with the student for the entirety of the course for students under the age of 16. 2. What kind of computer will the students need? Both Macs and PCs are welcome! Please bring a fully-charged laptop and a laptop charger to every class. Please make sure that the laptop is in a working shape; we don't want to spend the class trying to fix computers when we can be learning. 4. What is the cost of the class? FREE. Suncoast Developers Guild believes strongly that programming must be accessible at all ages, and kids classes are one way we inch toward making that belief a reality. 5. Do the students need to know how to touch-type? Basic typing skills are helpful, but we will go at a slow enough pace for students that are not as familiar with typing. 6. What do students need to know before taking the class? The course is for beginners. Imagination and love for computers are the only requirements for the class. 7. Are there homework/tests/grades in the class? Our goal is for students to have a great time learning and playing with new tools and ideas. There are no tests, grades or homework. That said, we do expect students to be engaged in every class. Many founders and co-founders struggle to assess the value new equity partners (either initial founders/co-founders or subsequent additions to the founding team) bring to the table and assign the appropriate amount of equity. This presentation is about a practical, but sophisticated model and approach to determining that. All participants will also get a copy of the excel spreadsheet discussed in the presentation. It’s the age-old dilemma of what should a company focus, growth or profit, that is based on the wrong question. The question is not a binary question, and it does not have a binary answer, but rather it is an open-ended question with a constantly evolving moving target that depends on a number of factors. This presentation is about looking at the profit/growth question with a different perspective and making different decisions at different times. This inspiring panel of speakers from some of the coolest businesses in the region with international clients are ready to share their growth hacking techniques. These panelists have found success in obscure places. Join them as they share their business' success. Unfilled jobs are one of the most significant threats you’re facing. There are more jobs than people to fill them, making hiring more difficult than ever. The time it takes to fill a job has reached a new all-time high. Scott Wintrip, author of High Velocity Hiring, will show you how to eliminate hiring delays, so that you’ll have the talent you need, when you need it. Sharing research, case studies, and practical advice, he’ll illustrate how companies across the globe are filling jobs the moment they become open. Speed dating meets business mentoring! Last year this TBSW event was SRO. Arrive early and plan to deliver your best business model in record time – no more than 5 minutes to talk up your business/business idea to one or two table facilitators. Then you’ll receive feedback from those facilitators - local business experts, mentors and SMEs – on the model as well as advice for additional resources you might need. When the bell chimes, it’s off to the next table for another round and feedback with a new set of facilitators. Preparation is key to getting the most from this opportunity so organize your thoughts, be prepared to answer questions, and put on your running shoes because this happens fast! Entrepreneurship Instructor, Entrepreneurship Resources, Inc. The Art of Storytelling for Start-ups will help you create impact through thoughtful, emotion-laden communication. Whether you need someone to back your company, invest in your idea, or get excited about following your lead, storytelling can position you to succeed. Ignore effective storytelling at your own peril! Develop your roadmap: Identify your key stakeholders, their needs, and your big idea. Build storytelling prototypes: Explore different mediums for telling your story and how to create several versions in order to engage others in the process. Design for Success: Dig into tone and style to ensure your presentation resonates with your audience. Take the listener on the journey with you: people remember stories more than facts. Leave with your plan for improved “Storytelling for impact . Join Leighton Kyler as he helps you to understand how to build your sales funnel from lead to pitch meeting. Sales funnels don't get built overnight and you don't just stumble into selling or ensuring you hire great salespeople. Overcoming the fear of "no"
There's a lot to cover in this session. You don't want to miss a minute of it. Chief Revenue Officer, ARIEL Business Group, Inc. Listen to Katie as she shares how she created a successful career in the performing arts in Tampa Bay. NOTE: We have a very long wait list for this session. If you have a seat and do not plan to attend, please surrender your RSVP to allow for someone else to attend in your place. Have you ever wanted to bend the ear of some of Tampa’s most intriguing startup health and technology CEO’s? Dig down into how they built their business model, secured their commercialization partners, or what they need to grow? Then this is the event for you! 5 health and technology CEOs, carefully curated by FL Health Innovators and Techstars, will be joining us for our CEO Roundtable event. Small groups will meet with a CEO for table-side engagements where CEOs will offer up a brief pitch about their novel business; the rest of the discussion is up to you! After 20-30 minutes, groups will rotate and engage with the next CEO, and repeating the process until complete. Make sure to bring your business cards to extend your reach beyond this event! Please note, this is a VERY limited seating event. Ideal attendees are investors, healthcare leaders, community leaders, entrepreneurs, physicians, research faculty, and other collaborative-focused people. Entrepreneurs often fixate on the importance of grit and persistence. While these qualities are essential, they’re not enough by themselves. Peerfit President, Scott Peeples, will present a new perspective on grit and how it can completely change your approach to hard work, growth and what it takes to succeed. Have you ever wondered why those actors on the TV show Whose Line is it Anyway? are so quick on their feet? They trained for it. Actually they re-trained their brains to be better listeners, more agile in the moment and better collaborators. This Startup Showcase will take place on Day 5 (Feb 16th) of Startup Week at the finale from 5:00 pm - 6:30 pm. Join us to celebrate the closing of Tampa Bay Startup Week! Let's have fun, grab some drinks, have some food, and celebrate our entrepreneurial community.